Full of practical and essential information for new chaplains with a user-friendly layout. The guide to all aspects of performance for chaplains - legal, professional, pastoral. Helpful reading for all clergy who make hospital visits. A recent national survey found many serious problems within hospital chaplaincy work with chaplains often feeling marginalised by other staff or failing to understand their role. This practical and informative guide is therefore both timely and will meet and urgent need. a large selection of prayers and readings for routine and emergency pastoral situations, anointing and laying on of hands, and much more. The Hospital Chaplain's Handbook by Mark R. Cobb was published by Canterbury Press in December 2005 and is our 20148th best seller. 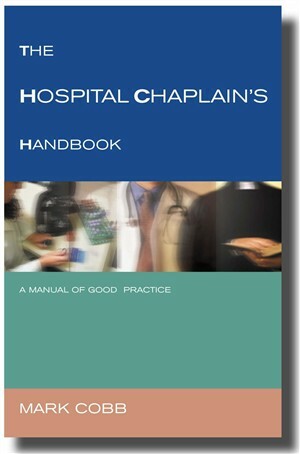 The ISBN for The Hospital Chaplain's Handbook is 9781853114779. Be the first to review The Hospital Chaplain's Handbook! Got a question? No problem! Just click here to ask us about The Hospital Chaplain's Handbook.